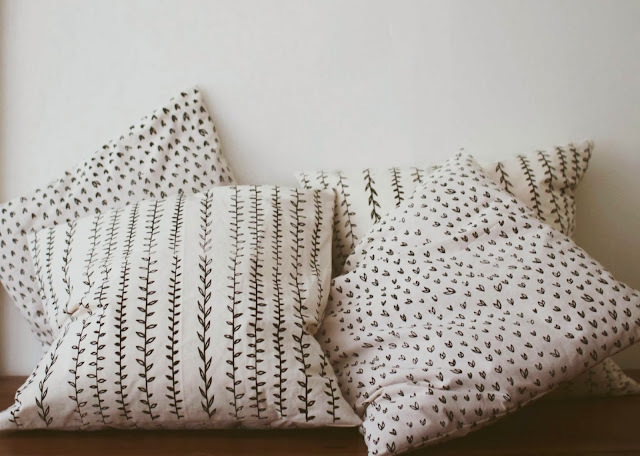 I screen printed some pieces of cotton fabric and sewed them into pillow covers. I used the drawing fluid/screen filler method, so these pattern are all hand drawn. and get an even print, but I decided to just embrace the flaws for this project.